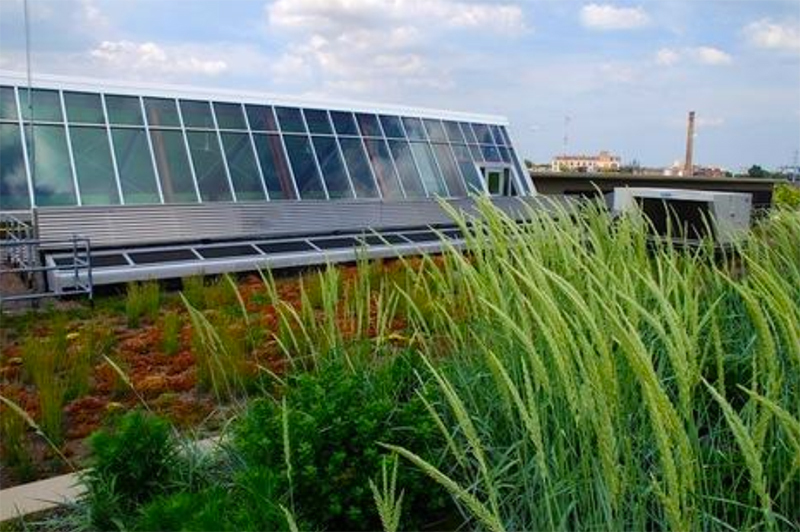 One of Chicago’s biggest names in landscaping now lays claim to one of the greenest locations in the city. 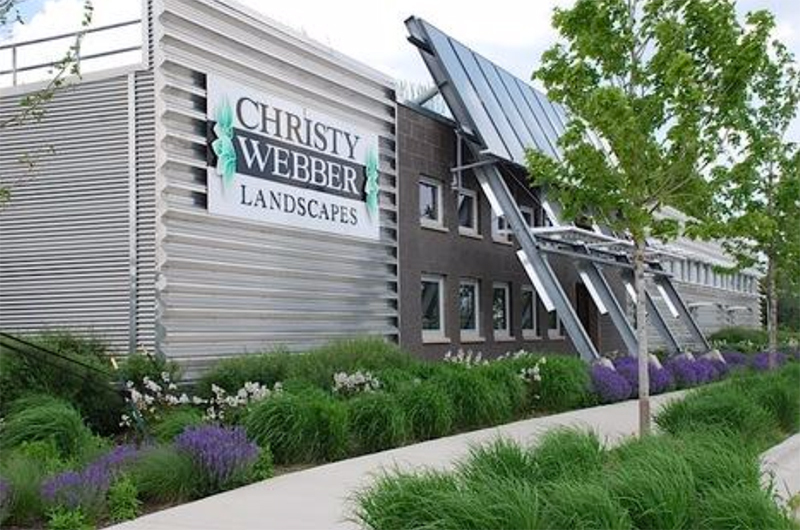 ChristyWebber Landscapes, along with the City of Chicago and GreenWorks, came together to develop an area in a struggling neighborhood. After decades of abuse as an auto impound, landfill, and iron-works, the polluted site had been declared a brownfield. Subsequently, in 2003 the City of Chicago proposed an initiative to reclaim the site, and a short three years later, the 12.5 acre piece of land was clean and fully operational. 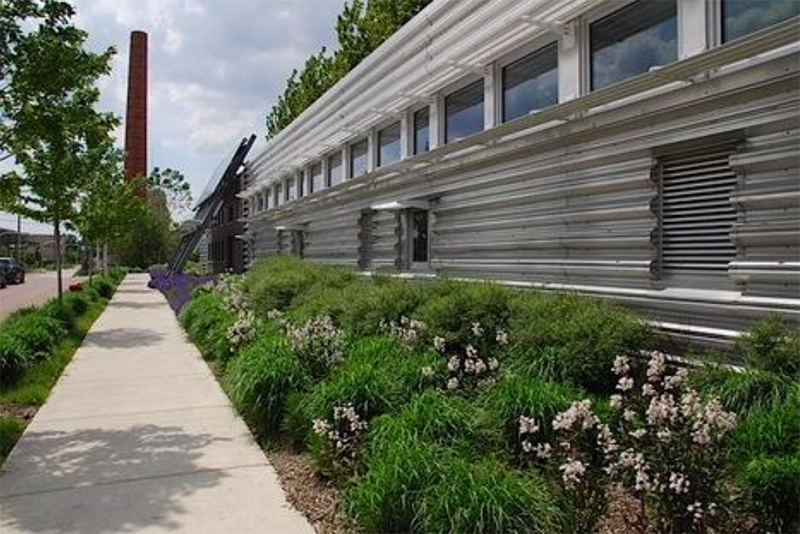 Called "Rancho Verde," in honor of the mostly Hispanic workforce that makes up the landscaping industry, the former brownfield is now the headquarters for ChristyWebber Landscapes. Rancho Verde features a one-story office building, warehouse, and a shop-yard big enough to hold dozens of trucks that keep Chicago looking healthy all year round. The building includes many familiar features in sustainable design such as geothermal heating/cooling, solar panels to actively heat water and air, and an off-site wind turbine to generate electricity. Additional key elements include an intensive green roof system, rainwater harvesting, and a top floor green house that helps to filter air before it is directed to the office building. Rainwater is collected into giant cisterns that are used to irrigate site vegetation, but also fill the water trucks that maintain lush streetscapes around the city. Additional storm water is directed through bioswales, and if necessary into a detention pond large enough to handle a 100 year storm event. The east/west building orientation takes advantage of day lighting techniques with skylights, sun shades, and even reflective materials on the ceiling to bounce light into work spaces. Indoor materials are all low VOC, and 20% of the building material was retrieved locally. After completion, a total of 75% of construction waste was diverted from landfills, an impressive statistic to say the least. Rancho Verde has received universal praise and recognition of its bold and progressive approach to sustainable development and community improvement. 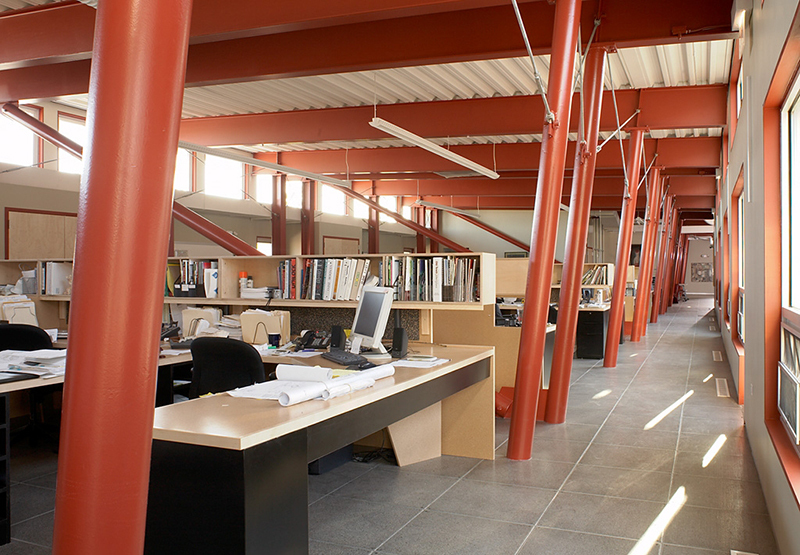 A few of the many accolades include the following: AIA Chicago Special Recognition of Farr Architects, Chicago Building Congress Merit Award, and most recently, the 2008 IDEAS Award (Innovative Design in Engineering and Architecture with Structure Steel) to Drucker Zajdel Structural Engineers. Having personally visited the site and building, I am happy to say that it deserves all the respect it gets.